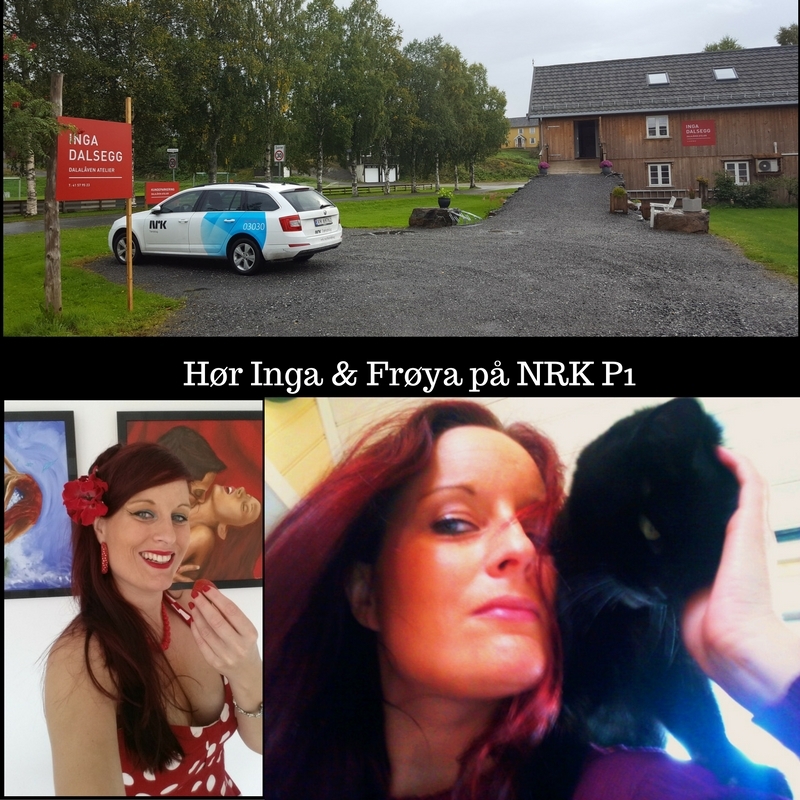 NRK radio visited med recently, and for the first time ever I can actually say that BOTH Frøya and I were interviewed! Frøya seemed to enjoy all the fuss and attentin, and contributed with loud purring, eating cheese and posing for the camera all at the journalists request, while I mainly took charge of the talking. The interview will be broadcast on the program “Mellom himmel og jord” at NRK P1 tomorrow, Sunday 25th September. The show is from 09:03-11, and we will bein the latter half, sometime after 10am. There will also be an article online on NRK’s web site, which probably will be posted tomorrow morning.